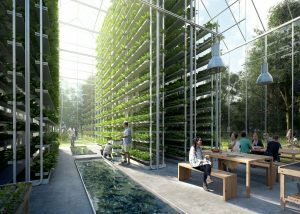 The World Wildlife Fund (WWF) is known for its work with governments, the public and the business community to drive sustainability initiatives across the globe. To accelerate the transformational impact it aims to achieve, WWF Netherlands commissioned Metabolic to produce a guidebook on systems thinking: a powerful tool for finding leverage and creating strategies for change. 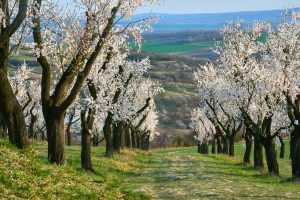 When working within complex systems, tackling environmental and humanitarian sustainability challenges requires a new approach. If we do not consider each challenge within its broader systemic context, attempts to fix these problems can prove ineffective or even lead to unintended and unforeseen consequences. To achieve its mission to stop the degradation of the planet’s natural environment and create a future where people live in harmony with nature, WWF recognizes the need for a systems thinking perspective. This means finding leverage points and addressing not only immediate drivers, but also root causes. Building on previous work with WWF Netherlands and extensive experience in systems analysis, Metabolic has developed a practical resource for applied systems thinking. 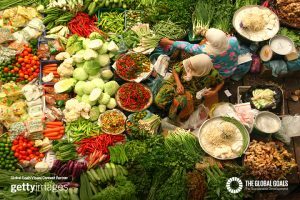 The guidebook Using Systems Thinking to Transform Society uses the case of the European food system – one of the continent’s largest drivers of biodiversity loss – to explain how to harness the system’s structures and behaviours to create change. It provides an introduction to systems thinking and a step-by-step guide to identifying leverage using systems analysis. If we are to have any hope of changing a system for the better, we must first understand what causes it to function the way it does. 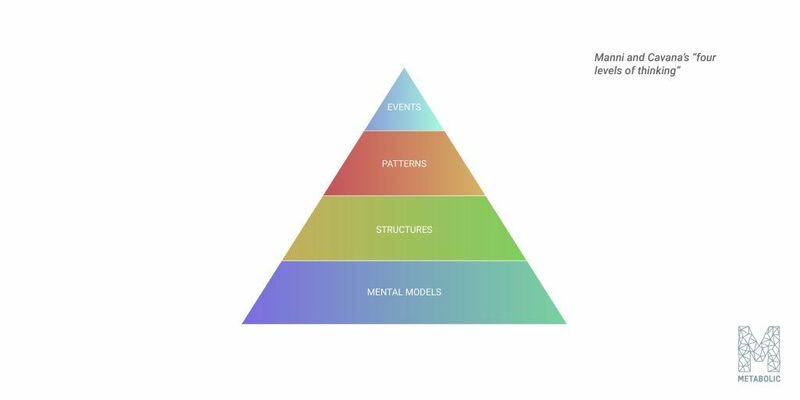 Systems theory can help us do this by providing tools for understanding complex systems and helping us move beyond “end of pipe” solutions to address the deeper structures and mental models at the root of the problem. 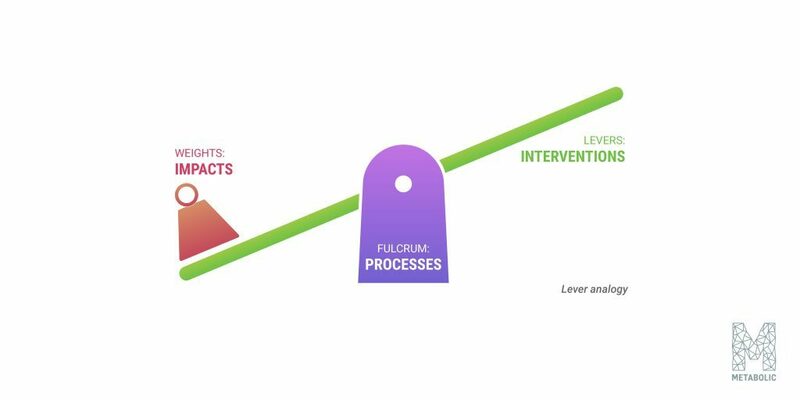 As Manni and Cavana’s “four levels of thinking” model shows, the outcomes or impacts of a system are ultimately caused by its structure. Events represent only the “tip of the iceberg”. However, because they are most visible and immediate, attention is often directed here at the “end of the pipe,” and interventions are aimed only at addressing the symptoms of a problem rather than its root causes. Leverage points are places in a system where change in one element or process can have a systemic effect. Using the analogy of how a lever works, the guidebook introduces three steps that can be used to identify the actions which will create the desired outcome. Finally, we must identify the lever, or the intervention, which will ultimately shift the impact. The guidebook walks through real-world examples of how to prioritize efforts for change and a framework to score and rank interventions according to their leverage. 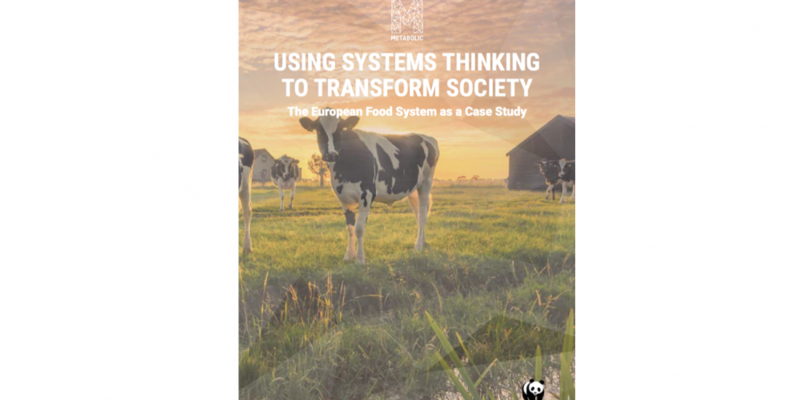 To download the full report Using Systems Thinking to Transform Society: The European Food System as a Case Study, click here. 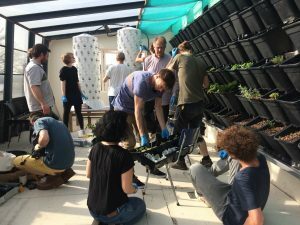 Metabolic has developed a suite of approaches that allows us to quickly map and understand how a system functions (whether that’s a city, society, or sector) and where we can intervene to make the biggest difference. We offer a Systems Thinking Masterclass for businesses, governments, and non-profits. To learn more about how we use systems thinking throughout our work, contact erin@metabolic.nl.